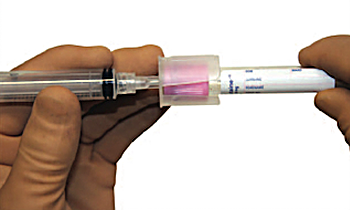 MedMate is a revolutionary safety needle designed for three purposes: 1) to withdraw medications from vials, 2) to transfer medical specimens into specimen tubes, 3) to inject medications into I.V. rubber ports. 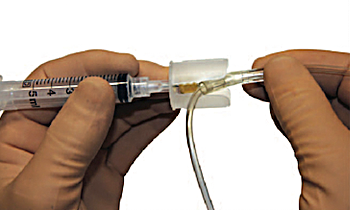 MedMate’s design entails several key innovations that make it unique within the safety needle landscape. For starters, it is a real, sharp metal needle as opposed to a plastic cannula or blunt metal needle, ensuring effortless penetration into rubber stoppers of all dimensions. Secondly, safety features are totally passive, requiring no mechanical action or step to be taken by the practitioner. 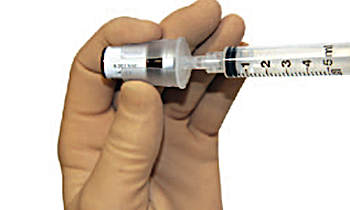 The patented protective flanges always protect your hands or any body part from accidental needle stick injury. 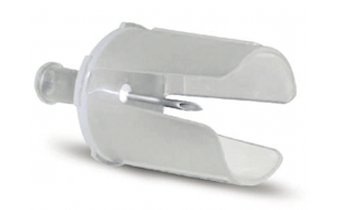 Furthermore, these unique flanges flex to accommodate any size and shaped medication vial (1cc-30cc)….